Atelier is made in France, and designed with the professional in mind. Made with superb ingredients including natural pigments, enriched with vitamins Atelier gives you a professional finish every time whether you are a professional or you just want to look great! 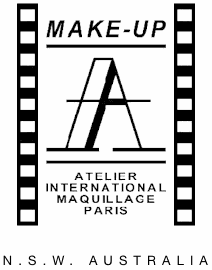 Atelier Professional began in Paris in 1986, where it was widely used by professional make-up artists in high fashion, television and theatre. The brand was created by Helene Quille, who at the time, was head of special effects in films and theatre productions. Helene was also very active in designing makeup for runway fashion shows in Paris. Globally the Atelier makeup brand began its journey in 1989 and in 1990 the 5 eyeshadow palette designed by Helene was introduced. This palette format has been so popular that for years, many well known brands have copied it. Makeup Atelier Paris is a unique brand designed and formulated in Atelier’s privately owned laboratories. Atelier offers an extensive assortment of high quality products which use a long lasting formula that ensures a makeup will last for hours without creasing or fading. Extra resistant to tears, water and sweat. These qualities and more make the products ideal for professional and personal use. Atelier is used by professional make-up artists all over the world. Atelier Australia began in 1992 in Melbourne, and is now widely used around the country by professional make-up artists and many Makeup Departments in Television, theatre, film, fashion, runway and editorial.